Your eye exam will start with an optometric assistant taking you to the pre-test room. Here, we will review your ocular and health history as well as take some automated measurements, such as autorefraction, autokeratometry and lensometry, all tests that will that aid your examination. Eye Exams not only determine your need for prescription lenses but will also help detect the following; Glaucoma, Cataracts, Macular degeneration, High Blood Pressure, Diabetes, Contact lens problems, retinal and corneal disorders. Many other tests such as colour vision testing and stereopsis will be performed as required. Peripheral visual is the part of your vision that we refer to as your “side vision” or that part that is not in the centre of your gaze. This is important for many reasons including detection and mobility. The testing of peripheral vision is called Visual Field testing and is usually an automated test. It is essential for detection of certain eye diseases and also proper management of several ocular and systemic health conditions including glaucoma, pituitary tumours, stroke, macular degeneration and diabetes. It is also a required test for Ministry of Transportation licensing. This technology enables us to more accurately assess and monitor ocular and systemic health. Although, it is recommended for most adults, this is particularly useful in the management of diabetes, glaucoma, macular degeneration, strokes of the eye and other vascular abnormalities. 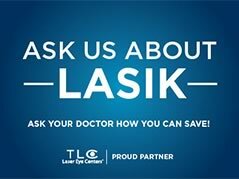 We are happy to discuss any questions and concerns you have about Lasik or PRK or Kamra vision. Ask us about Lasik! We offer a wide variety of frames and lenses to suit all your day to day needs as well as sunglasses, prescription sunglasses, sports glasses, safety glasses, and prescription swim goggles. Soft contact lens fits for multifocal, toric (astigmatism), spherical in daily, monthly and biweekly formats can be scheduled at your convenience. Contact lens insertion and removal training is provided for all new contact lens wearers as well as proper care and cleaning techniques. Rigid Gas Permeable contact lenses for spherical, toric or multifocal are also available. Please note that contact lenses are a medical device and a proper fit by an eyecare professional is recommended before placing any contact lens orders. The front curvature of your eye changes over time and with wearing of contact lenses so refitting contact lenses to new materials and wearing schedules may be recommended. 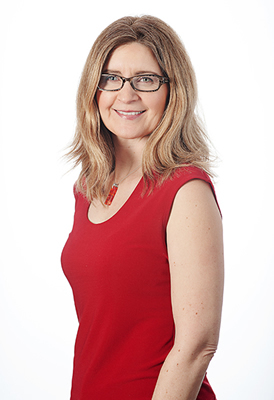 Dr Patriquin completed her undergraduate degree at the University of Waterloo on the Dean’s Honour’s List in 1992. She then graduated from the University of Waterloo School of Optometry in 1996. During her studies she completed an externship at the Omni Eye Services in Atlanta, Georgia in ocular disease. Dr. Patriquin also spent time at the FISH clinic in Kingston, Jamaica. She is the staff optometrist for Wentworth Lodge long-term care facility in Dundas. Dr. Patriquin is a member of the Canadian Association of Optometrists, Ontario Association of Optometrists and the College of Optometrists of Ontario. Dr. Patriquin grew up in Nova Scotia but is happy to call Dundas her home. She is busy with two young children and she enjoys, tennis, biking, and traveling both close to home and abroad. 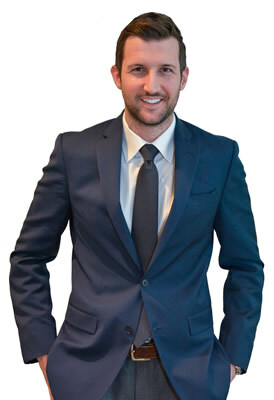 Dr. Lukacin graduated from the University of Waterloo in Waterloo, Ontario with an Honours degree in Biomedical Sciences in 2008. He then attended the New England College of Optometry in Boston, Massachusetts, where he received his Doctor of Optometry degree in 2012. During his time at NECO, he completed clinical rotations at the Jamaica Plain VA Medical Center, the South Boston Community Health Center, and the New England Eye Institute in the greater Boston area. Dr. Lukacin then completed a one year residency program in ocular disease at the University of Kentucky’s Department of Ophthalmology and Visual Sciences in Lexington, Kentucky in 2013. Since 2015, Dr. Lukacin has served as a part-time clinical supervisor in the Ocular Health and Acute Care Clinics at the University of Waterloo School of Optometry and Vision Science. Dr. Lukacin is a member of the Ontario Association of Optometrists, Canadian Association of Optometrists, Kentucky Optometric Association, and American Optometric Association. 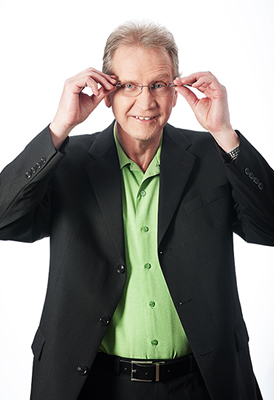 Dr. Conron graduated with a Doctor of Optometry degree from the University of Waterloo in 1974. He has been very involved with his provincial optometric association continuously since 1982. He served on the Board of Directors of the Ontario Association of Optometrists for 14 years including three years as Treasurer (2007-10) and President from 1989-91. Dr. Conron has been an assessor for the Canadian optometry licensing examinations and recently as Adjunct Clinical Lecturer at the University of Waterloo School of Optometry (2004-present). During this same time he has also been an assessor and clinical lecturer for the International Optometric Bridging Program at UW. Dr. Conron volunteered for several years as a minor hockey coach with the Beverley Minor Hockey Association. He has also been an active member of the Copetown Lions Club since 1993 where he served one term as Lion Chief and two terms as club secretary. In 1977, Dr. Conron purchased the practice of Dr. George Morris who had practiced in Dundas since he graduated from optometry school in about 1938. Our building at 16 King St W in downtown Dundas is the site of one of the longest continually functioning optometry practices in North America. Dr. Conron is excited to announce Dr. Jennifer Patriquin, OD. as his business partner. Together they have a formed a new alliance, Valleytown Eye Care. They are eager to continue the long tradition of high quality eye care to the residents of Dundas and the surrounding area.